9 OSHA changes and developments that impact residential contractors today. Contractors in the residential construction industry are facing major OSHA regulations and changes that will significantly affect their business now and into the future. I am helping many contractors learn about these items in our Massachusetts Continuing Education courses for Construction Supervisor License holders. The majority of our students are surprised to learn that OSHA is now focusing (targeted industry) heavily on the residential sector. Most of the contractors know who OSHA is, but lack basic knowledge of the OSHA standards and what they need to do for compliance. When OSHA comes by their job site they are sitting ducks for citations and fines. In former posts we mentioned that most of the OSHA training we do for contractors is usually after someone is fined, injured or killed. I hope that by educating as many contractors as possible that we can prevent all three. In addition to these three items new OSHA rules and developments will lead to more visits to residential contractors. 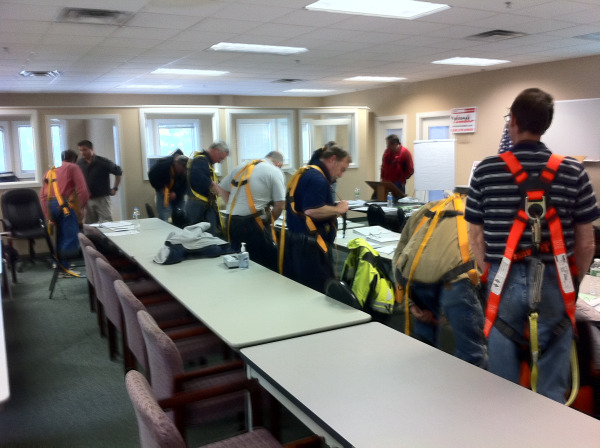 I hope we can save someone from having to go through an OSHA site audit where the outcome is usually heavy fines. 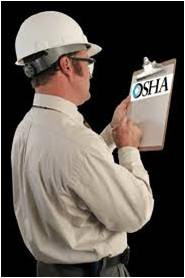 Following you will learn about the developments from new OSHA changes and regulations. Stay tuned as I will be following this post up with more details about each one in the coming weeks. Another contractor has been fined by the EPA for violating lead laws. The company is a painting contractor caught working in violation of the law in Hillsboro, Oregon. Legitimate Contractors Want The EPA To Fine Illegal Contractors NOW! Legitimate, licensed, insured, RRP certified tax paying contractors want the EPA to start enforcing and fining illegal contractors now. On 12/31/2010 the EPA RRP Certified Renovator deadline ends. All contractors, landlords, property maintenance personnel, sub contractors and those who work for compensation on pre 1978 homes must be certified. Anyone who is not trained must not offer to work or work on pre 1978 homes or they will be subject to fines from the EPA. Current fines are up to $37,500 per day per offense. We are constantly hearing complaints from contractors about RRP and losing work to the underground economy. Unfortunately, some would rather just complain and not do anything about it. We all know that government has a history of passing regulations without enough resources for enforcement. This is clearly evident with RRP. This year we have witnessed the lack of awareness by contractors and consumers due to a sub-par advertising campaign. The EPA has acknowledged that they need to improve their efforts in this area and I know personnally that they are doing more now in New England than earlier in the year. I agree it is not enough, however whether we like it or not, it is what it is. They need help to create a level playing field. Yesterday, the EPA formally announced that they will delay enforcement actions for violations of the RRP Rule certification requirement. The EPA has admitted that their efforts to fully implement the program as written and amended, has failed to produce the desired results.